The Roslindale campus of Hebrew Senior Life (HSL) is one of seven facilities where 2600 employees care for 3000 seniors every day. It was built in 1965 to replace the original Moshav Zekenim, founded in 1903 in Dorchester. 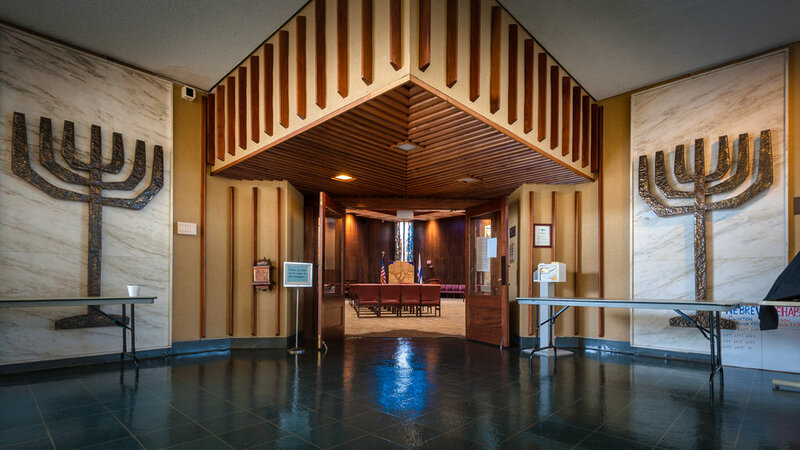 Several of HSL's facilities have formal sacred spaces including this synagogue at the Roslindale campus. Located on the eastern end of the campus, the synagogue was built in 1965 and has been renovated and changed in a number of ways since that time. The original 80 by 80 foot space, including a 60 by 60 foot sanctuary, also featured a Memorial Hall, candelabra room, family room and chaplain’s office. The triangular shaped sanctuary was designed with 18 foot high coffered ceilings, entered via a pair of wooden paneled doors. The bima, originally raised and approached by stairs and a ramp, is located in the Northeast corner of the sanctuary below a skylight which brings light in over the Ark, pulpit and lectern. Tall panels of stained glass are located at three corners of the space. The synagogue was renovated about ten years ago. At that time, the pews and raised bima were removed to make the room more accessible to residents in wheelchairs and to allow the space to be used in more creative and diverse ways. After the devastating earthquake in Haiti in January of 2010, the eastern wall was converted to a prayer wall where staff and residents could commemorate those who had died by writing their names or messages of hope on large sheets of paper. The chapel thus became a place where members of the HSL community could pray for those who were missing or injured, or reach out to those whose families had been affected by the disaster. 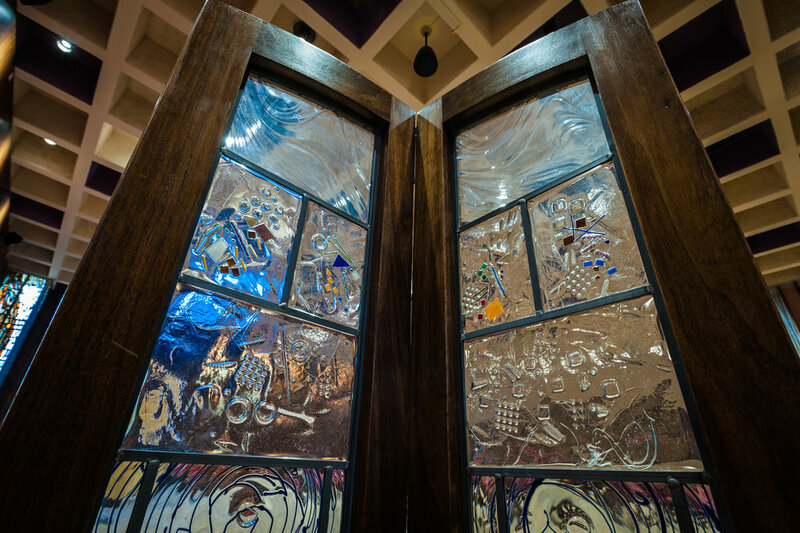 In 2011, to memorialize this time and the community's many losses, HSL commissioned an artist to design a small, unique space inside the synagogue for prayer and reflection which is now used extensively by staff and caretakers at the facility. Today the synagogue is in constant use, visited daily by residents, staff and family members. 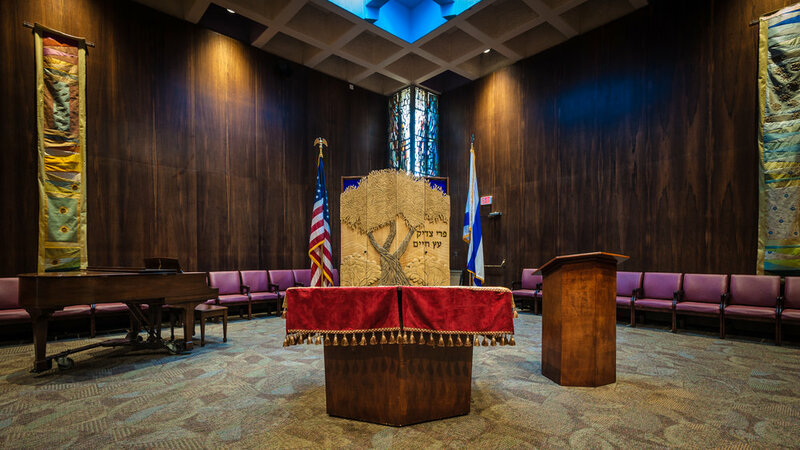 Services take place regularly: there are weekly Shabbat morning services as well as holiday services, and on Fridays a Shabbat sing-along is followed by the traditional service. Staff, family members, residents and patients use the space throughout the day for quiet prayer and meditation. It is also used for classes, memorials, community meetings, and educational programs. 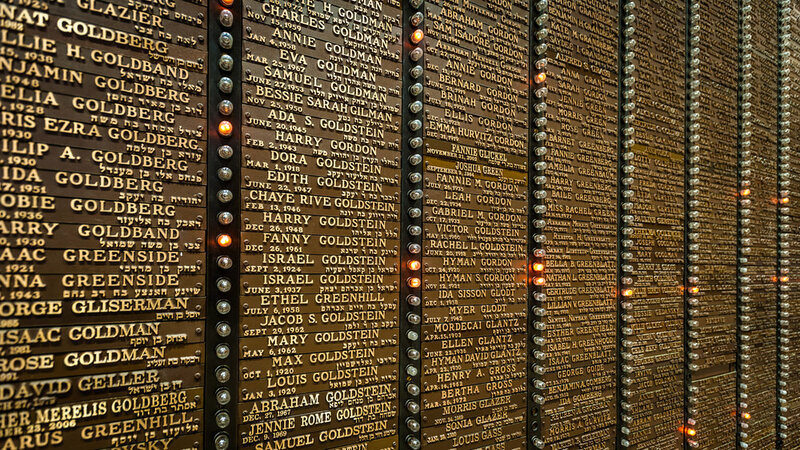 Two walls are covered with memorial yahrzeit lights which are lit daily in commemoration. Concerts take place weekly as do occasional interfaith services.